Finding the right auto mechanic for your car is vital in our age of highly sophisticated automobiles. 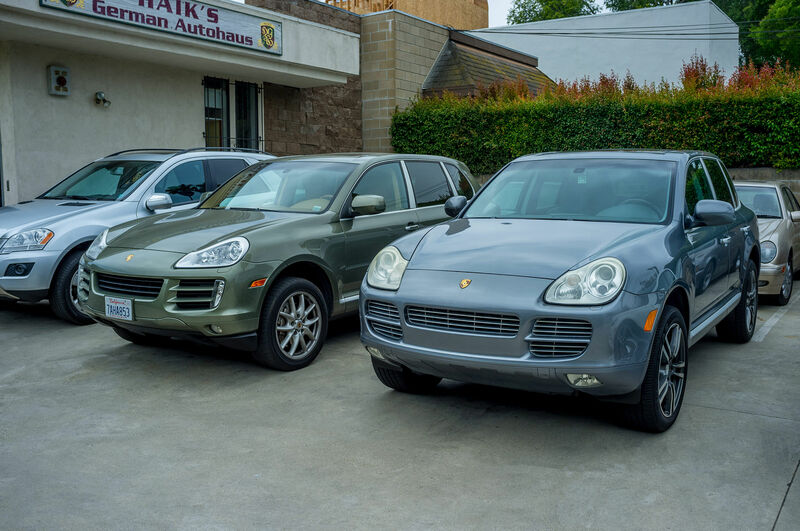 By specializing in Porsche, we are able to offer repair and service of every automotive system in your car, from tires and brakes to sophisticated electronic repairs. See Haik’s Custom Service Schedules. 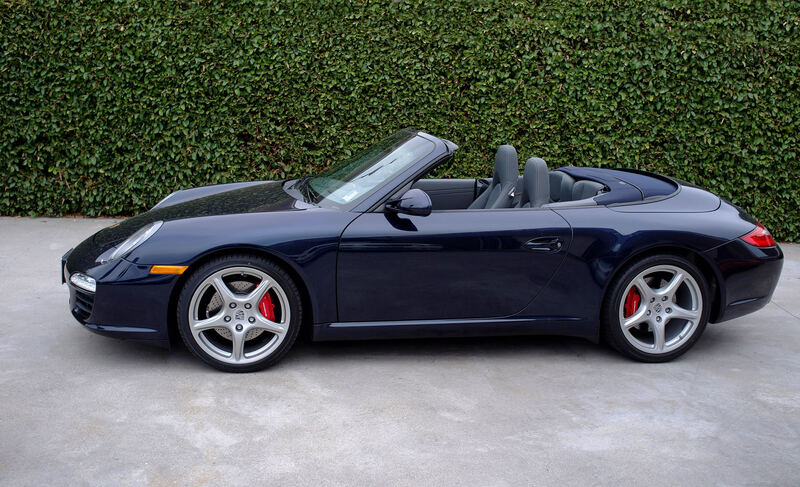 Please call us at (805) 965-0975 with any questions about your Porsche. For Porsche Factory Service Schedules, see below. *Each Model and Year of Porsche has its specific requirements. The following schedule is merely an approximate guide. There is not enough space here to list services for every year and model. For further information see Porsche's website. If the mileage for scheduled maintenance is not reached, minor maintenance must be performed after 2, 6, 10 ... years at the latest. * The engine oil and oil filter must be changed every 6,000 miles in vehicles that are driven in countries where leaded fuel is used. If the mileage for scheduled maintenance is not reached, major maintenance must be performed after 4, 8, 12 ... years at the latest. *The engine oil and oil filter must be changed every 6,000 miles in vehicles that are driven in countries where leaded fuel is used. Additional maintenance every 2 years. Additional maintenance every 4 years. *For a complete list of inspection items, see Inspection (Car Check) on our Services page. This is Porsche’s electronically controlled suspension. The system reacts to road conditions and continuously adjusts damping force on each individual wheel for a smoother ride. A press of the button changes the normal comfort mode to a much firmer sport mode. It also reduces pitch and roll. See Suspension (Active) on our Repairs page. This is Porsche’s enhanced stability control system. PSM continuously monitors the vehicle’s direction, speed, yaw velocity and lateral acceleration. If it detects a discrepancy between the driver’s intended direction of travel and the vehicle’s actual direction of travel, such as in oversteer or understeer, the PSM will apply braking to individual wheels to correct the stability. This occurs even at the limits of dynamic driving performance. On low-grip road surfaces such as water, ice or gravel, PSM improves traction using anti-slip regulation (ASR) as well as automatic brake differential (ABD). For a sportier ride, Sport Plus mode raises the system threshold to give the driver a more control for a greater dynamic experience..
See Electronic Stability Control on our Repairs page. For years, hybrids have been using the technology of recovering energy from the braking system and returning the electricity back to the battery for storage. When acceleration or boost is needed, the electricity is fed to the electric motors on the drive axles and the motors help power the wheels to propel the vehicle. Porsche has been experimenting with a regenerative braking system which uses the flywheel as the electrical storage device rather than the battery. It began testing in 2007 and ran its first car by the end of 2009. On its experimental 911 hybrid race car, the electro-magnetic flywheel acts as a storage battery when charging and switches to an electric boost motor when activated. Each front wheel is connected to a 60 kilowatt (80 hp) electric motor/generator. When extra power is needed the units act as electric motors to boost acceleration. When extra power is not needed during braking, the units act as electric generators, creating electricity and charging the electrical storage device (electro-magnetic flywheel). The flywheel is made of carbon-fiber composite with magnetic material, allowing the whole mechanism to behave as a motor when activated. It accelerates from idle speed of 24,000 rpm to nearly 40,000 rpm. The capacity of the flywheel is only 0.2 kilowatt-hours at full speed compared to the 1.7 kwh of the Porsche Cayenne hybrid battery, but the flywheel acts as an ultra capacitor releasing 163 horsepower for six seconds of boost when needed. See Regenerative Braking (KERS) Kinetic Energy Recovery Systems on our Repairs page. The smoke was so thick, you couldn’t see through it. We shut the engine off quickly. With any other car we would think a piston ring had blown, but this was a Porsche Boxster. To verify our suspicions, we tried to remove the oil filler cap with the engine running. It was stuck hard. Yep, the problem was the oil-air separator. The diaphragm had ruptured, allowing oil to enter the intake air system and burn in the combustion chamber. The oil-air separator is central to the PCV (positive crankcase ventilation) breather system. It’s function is to take blow-by gas which slips past the piston rings, and recirculate it to the air intake system to be burned. The oil separator is supposed to allow only vapors to go through to the intake. It is designed to catch the oil and return it to the crankcase. When the diaphragm ruptures however, both oil and air are introduced to the intake system. What was strange in this case was the amount of oil we drained from the exhaust system and muffler. There was so much, it looked like we were performing an oil change. After we replaced the oil separator, we removed the complete exhaust system and cleaned it as well as possible. We also cleaned the intake air plenum of as much oil as we could. The oxygen sensors, catalytic converter and mufflers were parts we could not clean. Even though the oxygen sensors and catalysts would usually not be ruined by the failure of the oil separator, the huge amount of oil we found in the exhaust convinced us to make the recommendation. The customer declined those replacement parts, so we did our best cleaning them. When we put it all back together, it continued smoking for twenty minutes. Eventually, all the oil burned out of the exhaust and the smoking stopped. We have no idea how long it took for the check engine light to come on with failure warnings of the oxygen sensors and catalytic converter, but the car left running well. This smoking problem applies to Boxster 986 and 987 engines. When the 911 (996 and 997) oil-air separator fails, it does not cause nearly as much smoking. When a PCV diaphragm ruptures, the suction created by the air intake system passes through the diaphragm and creates a vacuum in the crankcase. This is what causes the oil filler cap to hold tight. In some cases, this vacuum can be so strong it can cause the rear main seal to make a honking noise. In order to test the PCV system, and catch problems before they become serious, it is important to have the proper tester. The IMS bearing has caused the 911 series and Boxster engines many problems. The bearing supports the intermediate shaft. Once it makes noise (a distinctive rattle), it is probably too late to take corrective action, and the entire engine must be overhauled. The IMS bearing can be replaced on the 996 and 986 engines without disassembling the entire engine. The bearing on the 997 cannot be replaced without total engine disassembly. A 1988 911 Porsche came to us with a dying problem. The customer stated that the engine died randomly while driving, but as soon as he pulled to the side of the road, it would start again. He said that two other shops had checked it, but couldn’t find the problem. They suggested he drive it until it totally failed and would not restart. He said that the problem was getting worse, and he was afraid of getting stranded some place. Oil Separator (breather system). See Positive Crankcase Ventilation System on our Repairs page. VerioCam Plus - See Variable Camshaft Timing on our Repairs page. 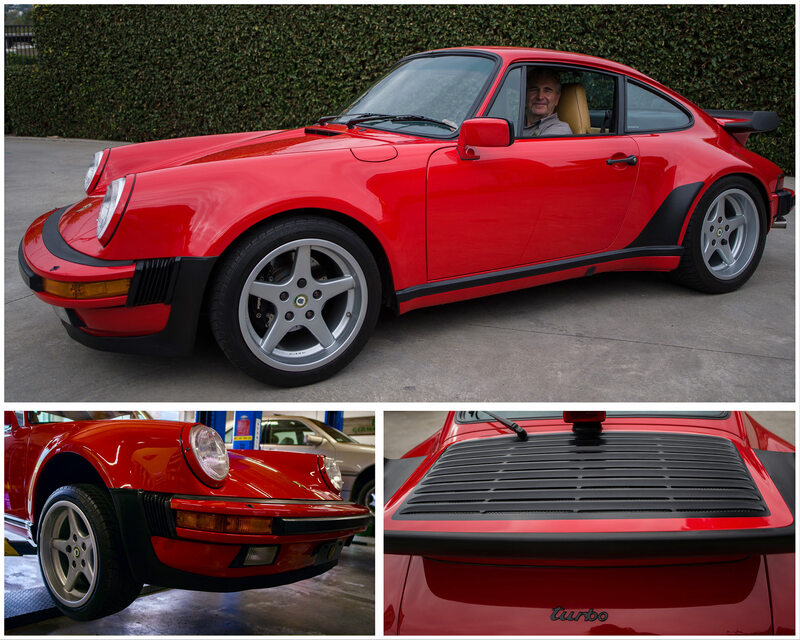 911’s also carry the name Carrera which in Spanish means “race” or “career.” The Carrera is a brand of Porsche automobiles which gets its name from success in the La Carrera Panamericana race. *(911’s also carry the name Carrera which in Spanish means “race” or “career.” The Carrera is a brand of Porsche automobiles which gets its name from success in the La Carrera Panamericana race. To see the 2014 Porsche Models go to the Porsche Website.